This movie was NOT based on a true story. There was a crash in real life which the pilots tried to fly upside down to recover but it failed (0 Survivors). This story is about a pilot Whip Whittaker (Washington) who has a substance abuse problem, an alcohol problem, and a lack of sleep before flying to Atlanta as pilot. His co-pilot questions his condition early on but does not stop him. During take off there is severe turbulence which the plane fights through and gets to a point where they can cruise. Our pilot has a couple of vodkas in an orange juice and promptly goes to sleep. He is awakened by a jolt when a part of the plane fails. The plane is forced into a nose dive and Whip Whittakers’ daring move to turn the plane upside down to regain control works. They dump the fuel and glide the plane into a field where 6 of the 100 people on board die. 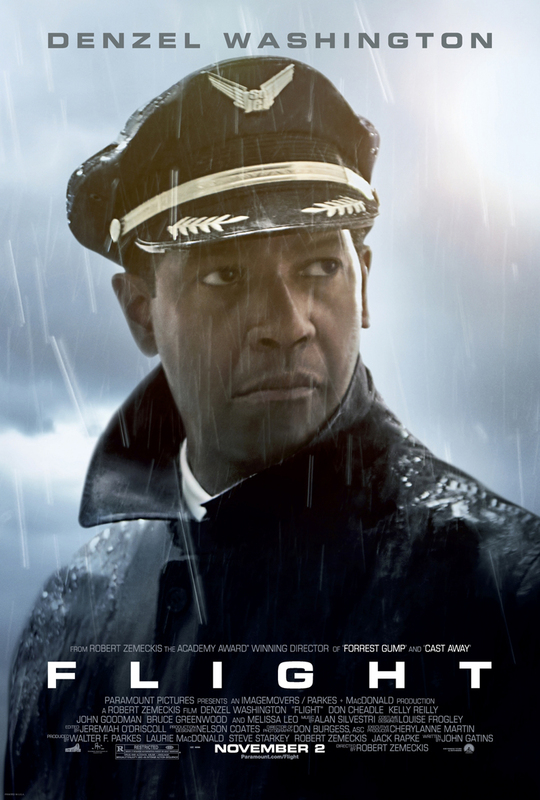 The investigation that ensues is excellent and Denzel gives another incredible performance (he could read the phone book and get nominated for an Academy Award). If you liked this try: Fallen, Fearless, Trainspotting.